A magazine is nothing without the people who produce it and Kevin Sharkey has been one of Martha Stewart Living's primary overseers for the last twenty years. Kevin has been with Martha Stewart Living since 1995. He is a graduate of the Rhode Island School of Design and had previously worked for the venerable interior design firm Parish-Hadley in New York City. 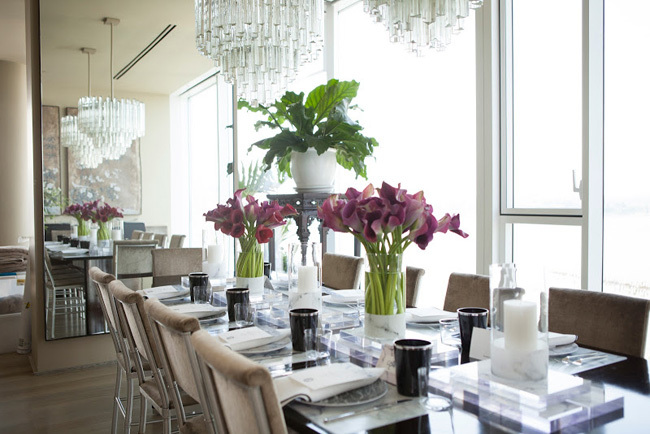 Over the years, Kevin has collaborated with Martha on the decoration of all her homes. 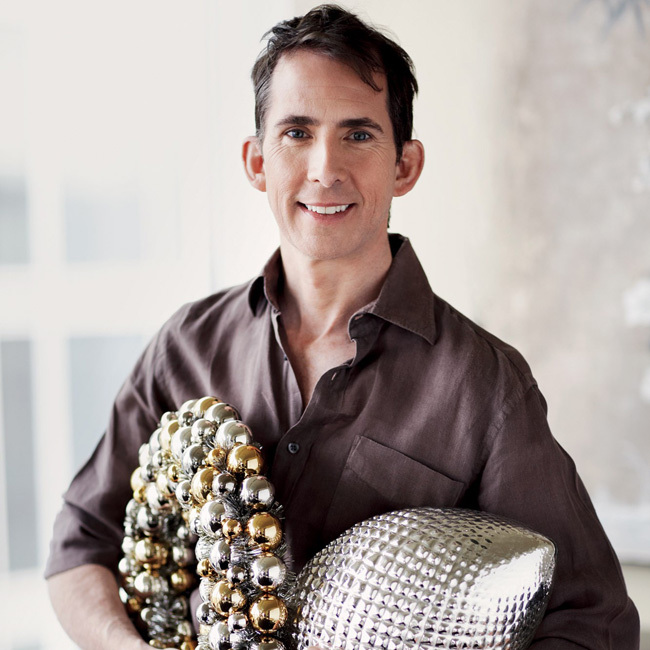 He has also worked with Martha's daughter, Alexis, as well as numerous MSLO executives and senior designers, to decorate their respective spaces. Kevin plays many roles at Martha Stewart Living. Officially, he is the Senior Vice President and Executive Editorial Director for Decorating and the Executive Creative Director for Merchandising at Martha's company. Unofficially, Kevin acts as the liaison and creative conduit between Martha Stewart and the various departments within her company, interpreting Martha's interests and tastes for the magazine and the merchandising departments. Kevin has become one of Martha's closest friends and confidants. He is also very good friends with her daughter, Alexis. (They live in the same apartment building - a modern Richard Meier building on the Hudson.) He gathers ideas and inspiration from Martha's homes, gardens and personal collections then brings them to the editorial and merchandising teams to create content and merchandise based on his findings. If it sounds like a dream job, it very likely is! Martha Stewart Living magazine would not have the look and feel that it does if were not for Kevin. His eye for detail and his brilliance at visually editing a space have created the "Martha Stewart look" so many of us longtime readers have come to intrinsically understand. Through osmosis, I have actually learned quite a bit from Kevin over the years about how to edit and organize a space. I love his philosophy that a room should never feel "decorated" but it should definitely feel "considered." That's a great approach. And all those beautiful Martha Stewart products we have come to love and enjoy over the years? Well, we can thank Kevin for those too! 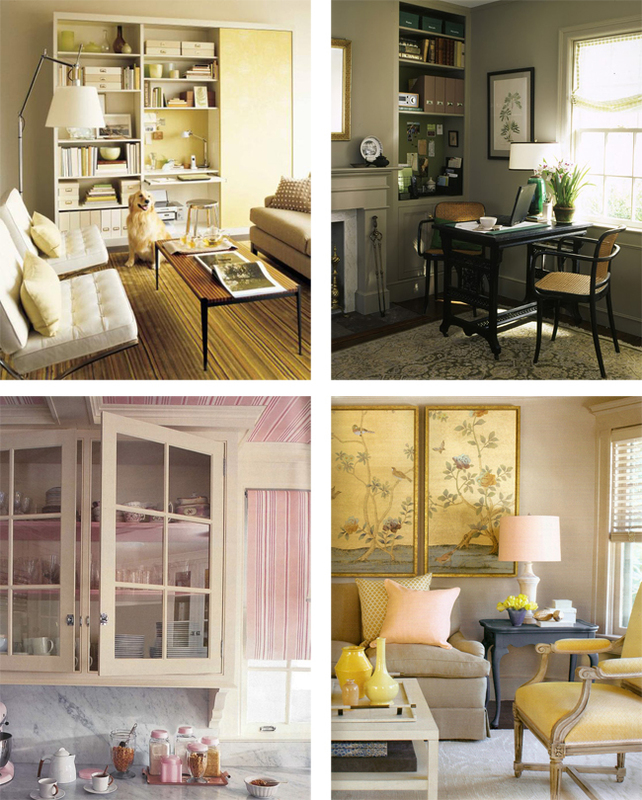 The typical room used in a decorating feature in the pages of Martha Stewart Living has very distinct features. It is almost Japanese in its sparsity but it is richly layered with tone-on-tone neutrals and pastels to keep it from feeling cold. Everything has its place and it exudes a sense of cleanliness, order and calm. These are Kevin's signatures. Kevin's own apartment is a perfect reflection of his taste: bright and perfectly appointed with an elegant mixture of texture and subtle colour. 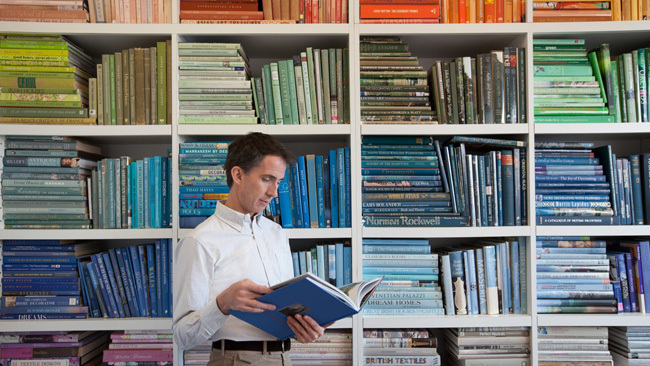 The bookshelves in Kevin's office at MSLO are organized by colour. This inspired me to do the same with my bookshelves at home! I love how it looks. Martha and Kevin are very close personal friends and business associates. Kevin often accompanies Martha to parties and galas and frequently travels with her. Alexis, Martha's daughter, is another close friend of Kevin's. She has referred to Kevin as "Martha's almost-son." 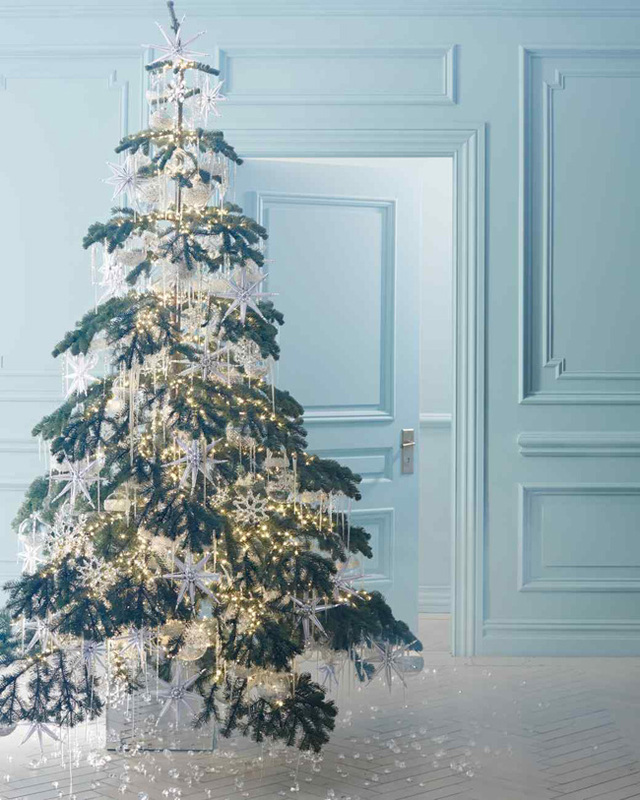 The tree Kevin decorated in the current issue of Martha Stewart Living is quite magical! It's my favourite from the series. Kevin is one of my favorite and inspiring people,working so close with Martha. I am honored to know him through his blog, Twitter and instgram. I wish one day to meet him personally with Martha. I salute him.